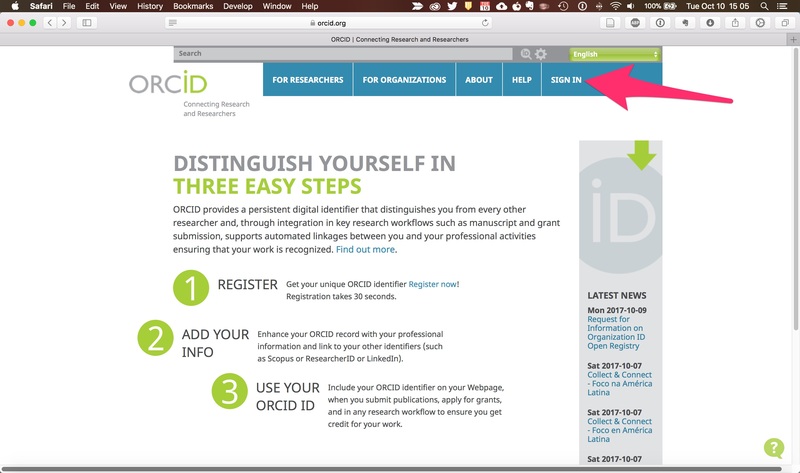 To get an ORCiD, visit https://orcid.org. Go to "Sign In" or "Register Now"
If you're at UVic, we recommend you sign in with an Institutional account (don't worry, your profile will go with you no matter where you go. You can change email addresses in your account page). 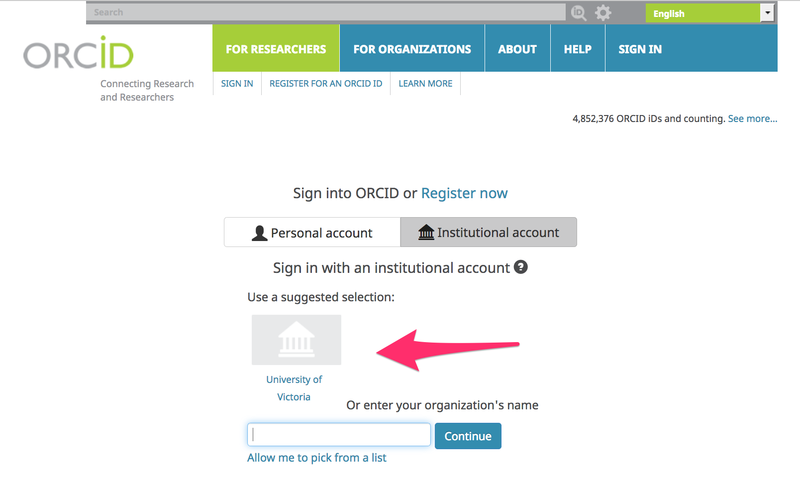 << Previous: What is ORCiD?